The Hotpoint LTB4B019 is a full size, fully integrated dishwasher. It comes with impressive eco-friendly stats. It ranges from an 11 Litre water usage to an A+ energy rating. 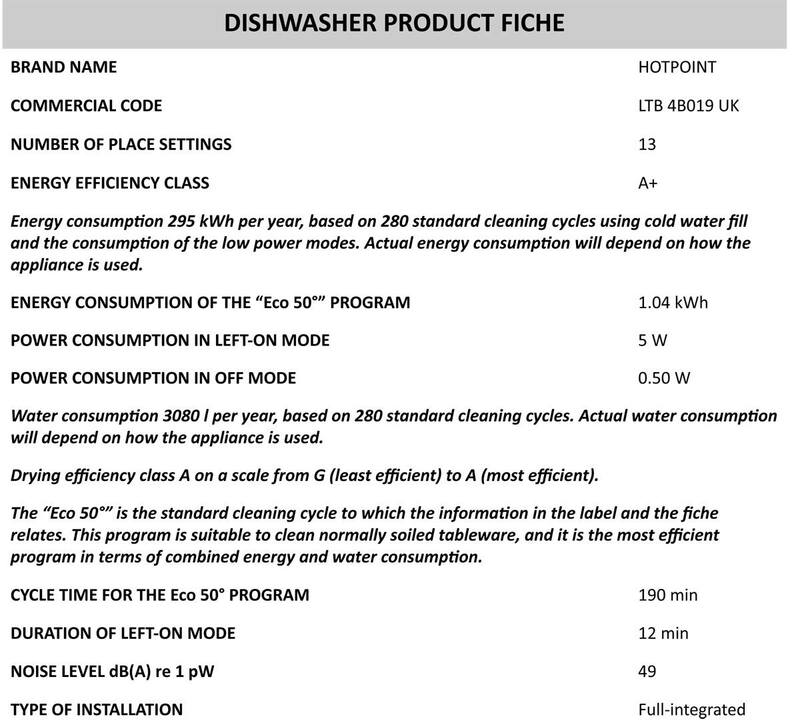 This dishwasher has it all it needs such as including an eco-wash and fast wash cycles. It comes with a capacity of 13 place settings which are ideal for any size load. The dishwasher also comes with adjustable sliding racks which are perfect for your own personal preference.